As a small business owner, I personally know that the task of servicing my customers and prospects online becomes far more difficult as you grow your business. Smaller business' rely on email, and phone support to handle incoming inquiries that can easily be resolved online. If your a small business with a website, you may have already considered using the web to service customers. A google for the term "web self service and customer support" yields an extensive list of links to some Enterprise solutions like RightNow Technologies CX Platform, Inquira, eGain, or Salesforce's Service Cloud. These companies offer everything from Knowledge Base capabilities, Community, to Live Chat and Social solutions to support customers online. They are absolutely great platforms that I have personally worked with, but the problem is they are expensive. For a small business owner like myself with less than 5 people on staff, I couldn't afford 1 month of any of these products. With the exception of Salesforce, these companies don't target the SMB market. Their markets are focused on large B2B or B2C businesses for their Web Self Service products instead. So I compiled a quick list of affordable but powerful Web Based Customer Support applications that can help power your Online Web Self Service strategy for your small business. Tell me about your preferred applications for powering your small business' web self service. Zoho has built some serious applications in the CRM space that are competing fiercly with Salesforce.Com, and they now are focusing on Customer Support offering a Customer Support suite that offers robust features like an internal and customer facing knowledge base, ticket management, and a Customer Support Portal that enables you to create a help site that is automatically integrated with the suite. For business's looking for a quick way to get a knowledge base and support portal up and running, this is by far one of the quickest ways to get one up and running with robust capabilities. The sign up process is entirely online, you can start with a Free Account, and for businesses that need Sales & Marketing CRM - Zoho offers a pretty robust solution that seamlessly integrates with Zoho Support. If you are already a Zoho CRM user, then this is an ideal platform for your needs. One of my areas of concern is that the capabilities don't address Social Media support and response and the limited capabilities of the Free Edition. Smaller business are often relying on Social Media to support and engage with customers and these capabilities are missing from the suite. Some concerns with the FREE Edition are that it only enables a company to service 25 requests per day, and does not offer Customer Portal which enables you to turn on a knowledge base for your customers online. If you want those features, you will have to opt for the Professional Edition at $12 per user per month which I would recommend if you have a need for online web self service. OmniStar Live is the one solution that surprised me the most. They offer some great capabilities that some of the Enterprise players in this space offer in one package. Features such as Ticket Management, Knowledge Base, Live Chat, Customer Feedback, and the ability to create online troubleshooting wizards come shipped with the software and are all configurable in a easy to use interface. These features alone make it a great value for customers looking for more multichannel and service capabilities. Their hosted solution starts at $27 per month for up to 3 users, and they offer an Unlimited Staff offering where you install the application on your server for a $297 one time fee. I recommend this solution for companies servicing a high tech product that often requires updates to the knowledge base and complex troubleshooting wizards. This application does require some configuration and offers some robust tools for customizing the online support experience in terms of the user interface. They have a WYSIWYG Editor to customize the Customer Support Portal experience to change the look/feel of your site and tailor it to your company logo/brand. If you choose the Hosted solution you may not be able to customize the domain where your customer portal sits so that you have a URL like http://yourcompanyname.com/help. Go with the higher end installable $297 solution for companies who want to host it with their own domain. Omnistar offers free installation for those who don't have an IT Department to install the product on the hosted server. What sets this solution apart from the rest is it's Live Chat, Online Troubleshooter, and Instant Customer Feedback offering that is often not found in even some of the larger Enterprise Solutions for Web Self Service. The Online troubleshooter will save a company lots of time in PHP or HTML development required to walk customers through logic based scenarios to solve complex problems online. For companies with a complex technical product, this maybe an ideal platform to power your web self service. Assistly offers the most Social offering of all the other applications. With Assistly you get the ability to ticket and respond to customers over Facebook, Twitter, Email, and Live Chat integrated into 1 package. In addition, you get a Customer Portal that you can publish to your customers with FAQs, Online Search, and an online Community Q&A section. The suite offers you very basic content authoring and knowledge base capability. You can't categorize knowledge categorized by product, and search seems to be very dependent on key words contained within an article. This will work for a business with a very simple product portfolio, but businesses with larger offerings of products - the knowledge base won't cut it. Sign up and getting started is extremely simple, and at $39 per agent per month, you get a robust online solution for servicing your customers online. For businesses who have a high need for supporting customers across Social Media, and on a realtime basis, this is an ideal solution. Assistly recently partnered with Get Satisfaction to extend their suite to the the popular community platform. Further integrations with traditional CRM vendors will be ideal for this application's future success. Should You Take your IVR, and ACD Technology to the Cloud? Today was a cloudy day for me. I woke up to feed my son early in the morning and watched Greg Gianforte of RightNow Technologies on Fox Business news talk about how well his company is performing in the market selling Customer Experience Cloud software. In addition, I stumbled across more material online as Facebook CIO Tim Campos said that 70% of his IT Infrastructure will be hosted in the Cloud, and Office Depot makes a strategic decision to host their entire Call Center infrastructure in the cloud. So I decided to provide some insight to those companies considering taking the Cloud approach with their ACD (Automatic Call Distribution), IVR (Interactive Voice Response), and WFM (Workforce Management) software that power their call center operations. There are some immediate benefits to doing this, but there are also some areas of consideration to review before you move everything to the cloud. Below I review the benefits and cautions with moving your IVR, ACD, and WFM systems into the cloud. In the call center we need to dig deeper to better understand these costs. When it comes to your Call Center's Automatic Distribution phone system, most call centers have a Telephony Manager, PBX Expert, Reporting Analysts, and Administrators or Developers who are assigned the task of configuring the systems that host your call routing technologies. When it comes to dealing with workforce management, you have a host of analysts, reporting resources, managers, and IT to maintain the Workforce Management Software. Let's not forget the Interactive Voice Response systems that often require Management, reporting resources, and 3rd Party Application support for developing applications to Self Serve on a company's phone system. The above areas (ACD, IVR, and Workforce Management) often are 3 distinct teams who handle the maintenance, and change management of the systems. Average sizes of resources to handle these areas often is between 5 and 100 resources depending on the size of your organization. Yes - I did say 100. I have been in global call centers for major Fortune 500 companies that have loads of people assigned to these technologies. With Cloud based ACD systems like Transera, or Contactual's Hosted Call Center software, you can be almost certain to reduce atleast 1/3rd of your resource costs for managing these technologies by reducing your amount of resources required for managing servers, paying software license fees, monitoring, and ensuring security. Companies that decide to move their infrastructure to the cloud will also need to deal with the Integraton. At some point in your Call Center, you will want to integrate the ACD, IVR, CRM, Workforce Management, and CTI systems so that you have a full 360 view of all Call Center operations. Moving to cloud technologies provide integration benefits out of the box as they are all leveraging the Internet to establish connectivity. However, the vendors you select for these technologies will be very critical to the cost of integration between systems. Most Cloud vendors are equipped with APIs to handle the integrations using Professional Services, but very few Cloud vendors are offering already established Connectors that customers can use or take advantage of to connect one system to another. This is especially import in your CRM integrations. In fact, I would look at what kind of CRM system you have and begin a quest to look for vendors that provide connectors for your CRM system. Companies like Transera or Contactual offer Connectors for most major CRM systems. These connecters take the pain of the Professional Services effort to integrate systems. 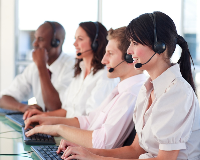 When looking to move your Call Center technology to the cloud, be sure to consider the vendors that have robust APIs or built in connectors designed for the technologies you are looking to integrate. Otherwise, your integration costs will sky rocket despite the savings in Hardware costs and resources. In summary, the resource benefits within your call center operation alone may provide you significant cost benefit while improving the silos of proprietary and internal knowledge required within an organization to maintain these systems. When picking a vendor who hosts call center technology in the cloud, be sure to equally consider the vendors ability to integrate with other systems. This is often found in their Connector Product offering, or within their API where developers can seamlessly access data sets to pass on to other systems. Will you consider moving these technologies into the cloud or not?